Eventually, her friends started asking if they could buy some for themselves. “I became an undercover bedazzled phone case dealer in my middle school,” Joyce says. She quickly expanded by selling them in a small Etsy shop, and then created her own ecommerce website. The success of that project led her try her hand at something she was truly passionate about: clothing. 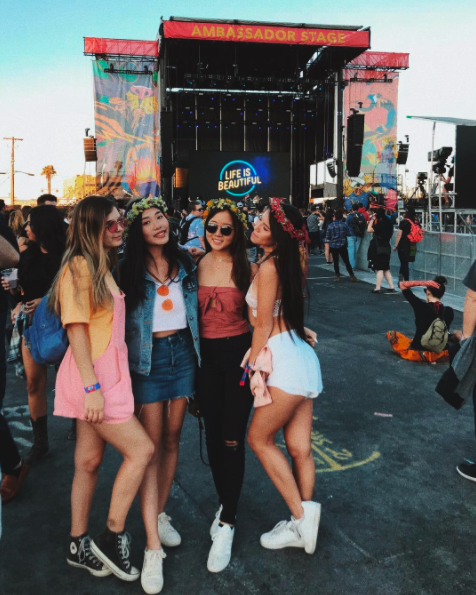 She launched Wild Daisy the summer before her freshman year of high school, selling clothes, swimwear, and accessories online along with, of course, phone cases. She also brought Wild Daisy to the Quarter Zero Catapult Incubator. It certainly did become big. Wild Daisy has since rebranded as Silk and Honey and has done $2M in revenue to date. Joyce’s brand was targeted at teenage girls, and as a teenage girl herself, she intuitively knew what they wanted. It has been an incredible journey for Joyce, and she’s surprised by how successful her venture has been so far. Incredibly, Joyce’s success is due to her uncanny ability to drive social media buzz around her brand. With a dedicated following on her Instagram and YouTube channels, so far Joyce has not spent any money on paid advertising. She’s made a few missteps along the way of course. If she could go back and do one thing differently, she says, it would be to less focused on following existing trends until they die out, but rather focus on creating new ones herself. Her advice to other young people starting a business?